PPI Poker Review (2017) - 35% Instant Rakeback & $1K Bonus! PPI, otherwise known as Poker Players International, recently made an unprecedented move into the live online poker realm. Though PPI has been involved in the gambling industry quite heavily for years now, they have never had a stake in an online site. On the surface, PPI Poker looks like any other poker site you have dealt with before, but there is so much that is entirely new to the online poker world as a whole. Despite the site’s newcomer status, there is so much to take advantage of for new online players and ones that have been around for decades. With the support of Tain, a poker platform provider that has been in business since 1999, PPI Poker is set to become one of the biggest names in the industry. PPI Poker has the unique claim that it is a site that was made for poker players, by poker players. On the site itself, there are profiles for “ambassadors” who not only cheerlead for the site, but also help it run. On top of all of this, almost all of these ambassadors are, or were, professional poker players. PPI Poker has a feature that is straight out of the early days of online poker. 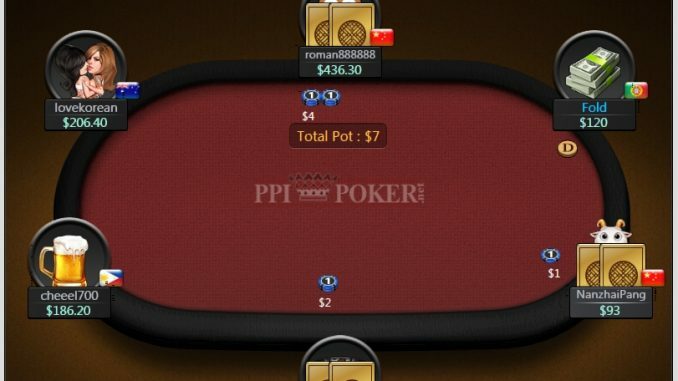 While the rest of the industry is subtly—and at time very blatantly—getting rid of it, PPI Poker has hit the scene with the best rakeback deal we have seen in awhile. From the very second you begin playing real money poker, you will instantly start earning 35% rakeback. This is something that will keep new players flooding in, and returning players coming back time after time. Although rakeback has proven to be a difficult venture for even some of the most solid names in the industry (ie Carbon Poker), there are some sites that continue to thrive using the model, including popular brands such as Americas Cardroom and VietBet. PPI is looking to continue this trend, with rakeback being credited back to player accounts daily – making it readily accessible for the next time you fire up a table. Another crazy feature that we have never seen as an official add-on to a site is the existence of tournament staking. People who have experience with live poker are probably familiar with it, but for those that aren’t, tournament poker staking allows you to sell part of your own action or buy a part of someone else’s. This can allow for you to enter tournaments you might have otherwise not been able to afford, whether you are playing or simply trying to ride the coattails of someone else. Another feature is an attractive matching bonus aimed at new players who are looking to make a deposit. PPI Poker is currently offering a 100% match bonus with up to $1,000 in free money available to you. The catch to this deal is that you must take full advantage of it within the first 60 days of opening your account. The bonus itself is cleared in $5 increments for every $50 you collect in rake. What are you waiting for? Get your deposit in already and start raking in the rewards – literally! Unless you have spent some time in Asia, there is not a great chance that you have any experience with the GGNet software used to power PPI Poker. The software provider has been around for some years and has made a name for itself amongst Asia’s recreational poker players. The software is compatible with both Mac and PC, and also offers the flexibility of their gambling experience straight from your smartphone or tablet. As far as user-friendliness is concerned, we can confidently say that the learning curve is quite small with regard to GGNet. Those with any sort of experience with online poker will feel immediately comfortable. The software itself is supported by Tain, a company that has been in business since 1999 and has been providing poker platforms throughout the entirety of its existence. Tain was a crucial player in bringing PPI Poker to life, and it goes without saying that their use of GGNet software is a decision that they did not take lightly. Through our experience, it was a wise decision. Not including tournaments, which are offered in both Omaha and Texas Hold’em formats, PPI Poker is able to offer four different varieties of the game. As was just mentioned, Texas Hold’em and Omaha comprise what we can call your standard poker games. They like to keep it simple on this particular network – and there are no immediate plans to feature other types of games like Stud, 5-Card Draw, Badugi or Triple-Draw at this point in time. The Holdem and Omaha games are offered across a wide variety of stake levels, however, the fishy nature of PPI Poker tells you that the highest saturation of player traffic tends to end up at the lower end of the stake level spectrum. The staff have tested the games here everyone – and there are a lot of players that are loose and fast with their chips here. As far as site traffic is concerned, there are going to regularly be over 1,500 t0 2,000 REAL MONEY cash game players on the site at any given time. At peak hours that number can double, triple, or even quadruple, but the fact of the matter is that there are always games to be had. Since the site shares traffic with other skins on Good Game, there are always games running around the clock. The next poker variation is known as All-in or Fold. The name of the game does a good job of describing how the game functions. Basically, every hand sees the participating players (of which there are up to 4) decide whether they want to force themselves all-in or fold their hand. This is a straightforward way of playing poker and forces you to make some interesting decisions. Tied to All-in or Fold is the AOF Jackpot, which sees a massive sum of money paid out to a player who hits a straight flush (Hold’em) and/or a royal flush (Omaha). It’s definitely a “gimmicky” type game made for true gamblers, but it makes the experience fun nonetheless. Finally, the last poker variation on tap at PPI is Fortune Spin. Fortune Spin is exactly like a Hold’em Sit-n-Go, however, it adds a few different twists into the plot. Before the game has begun, the 3 players register and immediately a wheel spins. Where the wheel lands determines how much the winner stands to walk away with. Of the 3 potential wins, 2 include a prize of 4x the buy-in as well as 8x the buy-in. The third prize is the most interesting and, when it happens, does not really involve poker at all. If the initial wheel spin brings about a fortune cookie, all players are rewarded with one cookie, inside of which there will be a cookie card. There are 10 different cookie cards that can be collected and when someone collects all 10 they will be given a straight cash prize. This, in a way, gives more incentive for players to try the game out. The first and easiest banking option is to make a deposit via your Mastercard or Visa credit card. This is arguably the easiest way by which you can fund an account. After that, you will find that the e-wallets Neteller and Skrill offer an equally easy avenue of depositing. Finally, there is Trustly. Trustly is nothing more than an online service that will help you directly transfer funds from your bank account to your online poker account. As for withdrawals, this is all dependent upon where you reside. At the present moment, real money deposits from players from the United States are not accepted. For players from most other countries, the method of withdrawal that is most optimal for you depends upon where you reside. Please check the PPI website for more details or email support if you have additional questions regarding withdrawals. If you are in need of information or an answer to questions about gameplay, depositing, bonuses, or anything else, reach out to PPI’s support at [email protected].